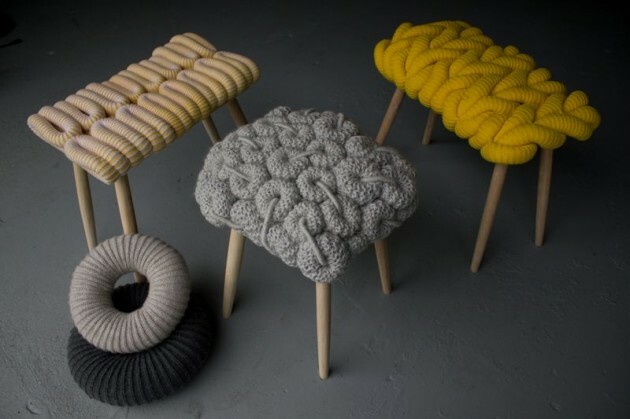 These knitted stools by textile designer Claire-Anne O'Brien are pretty cool. 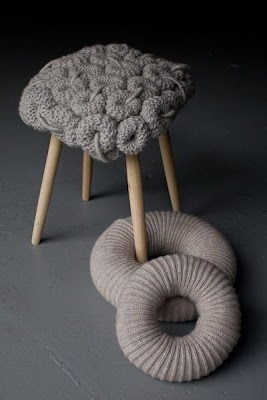 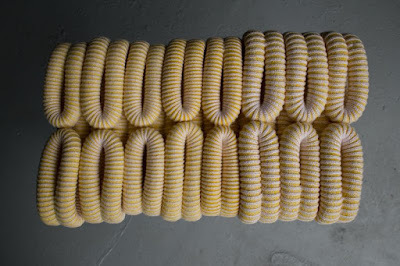 I love the big knitting, they look so modern and handcrafted at the same time. 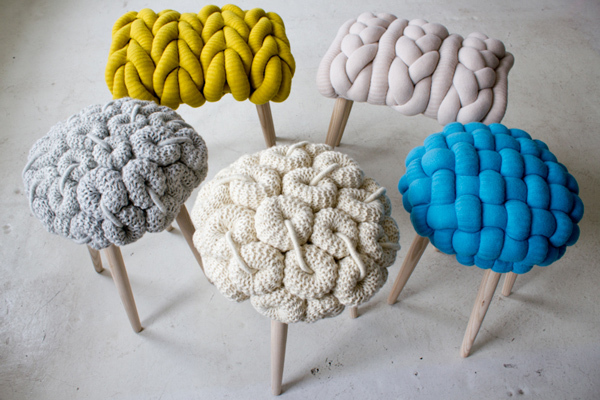 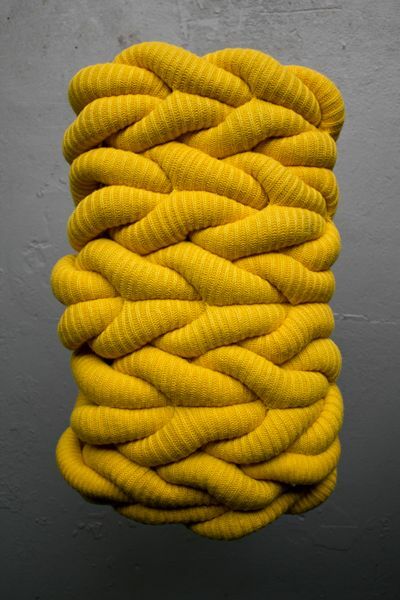 "Her work plays with technique and scale creating playful and tactile fabrics for interiors. 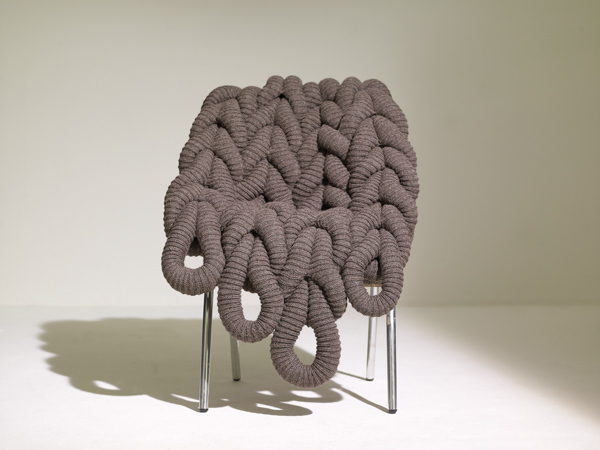 This sculptural approach to textiles brings fabrics to life in three dimensions through form exploration and furniture." 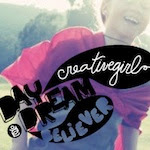 Check out her blog too.